This week has seen the 70th-anniversary of the British National Health Service (NHS) and the mainstream media has been replete with anecdotes, landmark moments and potted histories. As a British national pastime, debating the merits and demerits of the NHS seems at times to come only second to talking about the weather; and it has been interesting this week to witness the NHS being critiqued in other countries in light of this big anniversary. The NHS's 70th-anniversary has certainly been thrown into sharp relief by the state-enforced euthanasia of little Alfie Evans, the sheer scale of the latest abortion statistics and the shocking news emerging from both the Gosport War Memorial and Countess of Chester hospitals. In the former, it seems from an independent investigation that some 650 people died prematurely through the practice of lethal opiate, whilst in the latter a young nurse is under investigation, suspected of murdering 8 babies and attempting to murder another 6 babies. And although I must reiterate the excellent standard of care that we received in our local hospital the other night, it is also the case that I will never be able to think of the NHS in the same way after the dreadful case of little Alfie Evans and his courageous family. For that matter, neither will I be able to think in the same way of the present crop of Bishops of England and Wales after that case, which was all beyond tragic. At the time, I said that Alfie Evans had exposed the hearts of many, the good and the bad, for all to see. We were all certainly given a disturbing insight into just how much euthanasia has now been generally accepted in our post-modern society. The shocking official statement of the Bishops of England and Wales - made even worse by the overt support given by both Cardinal Vincent Nichols and Archbishop Malcolm McMahon to the courts and health care system, over and against the natural rights of the parents, the basic right to oxygen, nutrition and fluid, and even against the fundamental right to life itself - made it abundantly clear just how much the phenomenon we might term ''euthanasia creep'' had seeped even into the Church. Of course, all of that goes against the true teachings expounded so clearly in the much ignored and prophetic encyclical, Evangelium Vitae. The way in which acceptance of euthanasia has silently flooded both society and the Church reminds me of some cousins of mine who used to live on some marshy land near to the Fylde Coast. One night, the water table rose dramatically and invisibly, until it suddenly overwhelmed their land and flooded their outdoor Guinea pig hutches. When the family awoke the next morning, they were shocked to find their drowned pets floating in their water-logged pens. It seems to me that the general acceptance of euthanasia has similarly crept up on us and now threatens to overwhelm and even kill us; certainly that looks true of its inundation of the Church. Then again, the warning sirens were already loudly ringing several years ago, when the likes of Liverpool's Bishop Tom Williams spoke of the Liverpool Care Pathway (LCP) as ''God's work''. About 18 years ago, Angie and I shared in a collective gasp, followed by a moment of incredulity, when a man at a pro-life conference in London suggested that hundreds of people were already dying every year in the UK, due to the ''hidden'' practice of euthanasia caused by misuse of sedatives and dehydration. Yet, no-one would question his statement today. Indeed, the numbers involved, even in just the Gosport case alone, now make that gentleman's claim look decidedly conservative. Still, Gosport and Chester surely represent unique extremities? Well, I would suggest that they are not unlinked to the much wider and deeper cultural acceptance of euthanasia in general. And, as with atheism, divorce, cohabitation, LGBT issues and mass immigration, it seems that acceptance of euthanasia has become socially normative at a very rapid rate in the last two decades. I still remember people around 2003 being up in arms at the very mention of attempts to get pro-euthanasia bills pushed through parliament. But since then, softened up by sad stories of ''hard cases'' in the news, soap-opera programming (quite literally! ), peer pressure and a general loss of meaning in life, many people have come to see some form of euthanasia as being somehow OK if that's what you want. And whilst this lady represented the kind of ''soft liberalism'' that tranquilly ''tolerates difference'', there are signs that the harder form, which more typically represents post-modernity and isn't so ''liberal'' after all, is making inroads; with pro-lifers being labelled as ''uncaring'' or ''unfeeling'' just for thinking euthanasia is wrong. Indeed, Angie and I were both very disappointed recently when the mainstream author of a library book we were both sharing, on the theme of dementia and healthcare, suddenly announced her firm support for ''death with dignity''. In case anyone hasn't heard of it, that is a spooky euphemism for euthanasia. Even more disturbing than these examples however, was a conversation Angie had with a paramedic just this week. When speaking of the huge numbers of elderly dementia sufferers abandoned in nursing homes for the elderly in our country today, this fellow looked morosely downwards and ominously reflected that, if he were ever to find himself facing such a situation, then there would be ''alternatives''. Of course, this kind of chilling nihilism is just another of the poisonous fruits of a society which has rejected the loving God and the Church He established for our salvation and sanctification. Without God people are becoming increasingly desperate and lonely. One aspect of all of this is that fundamentally good people are being wounded in terrible ways, which then leave them feeling unloved and alone. Several years ago, Angie and I shared a pot of tea and some shortbread with a lady who had been very mistreated by men in her life; first her real husband who had mercilessly cheated on her, and then another man with whom she had attempted ''marriage'', before he too had cleared off and left her alone. This lady was not a Catholic, but was kind, hardworking and very open to talking about Our Blessed Lord. Having been so hurt in this life, this soul admitted that, if she were ever to be diagnosed with a terminal illness, then she would just retreat into the solitude of her own home with a large supply of champagne and cigarettes. Sad as they are, all of these above-mentioned approaches are a far cry from the way in which our forebears dealt with death and dying. Just to give one example, the monks in the medieval monasteries used to sound a wooden ''clapper'' if any of the brethren were about to die. This would bring the rest of the community running to aid the dying religious with their presence, prayers and practical support. They would also sing the Te Deum for the departing soul. Interestingly, this is where the expression ''to run like the clappers!'' originates. One of the perversions of our age, of which there are many, is the corrupted application of the concept and terminology of ''death with dignity'' to the evil of euthanasia. Whereas, in reality, the real meaning of dying with dignity, is to die prepared to go to God; having lived in a state of grace, loved and supported by one's family and companions, and accompanied with the sacraments and prayers of Holy Church. During those hard final days of Alfie Evans' court battles, there was at least one lone voice from among the Bishops of England and Wales which, blink and you'd have missed it, at least made some support for Alfie and his family; albeit being only one somewhat vague ''tweet'' on twitter, and even this made only after Alfie had received Italian citizenship. Still, at least it was something done by a bishop of these isles to distance himself from the general acquiescence in state sponsored and heavily enforced euthanasia. 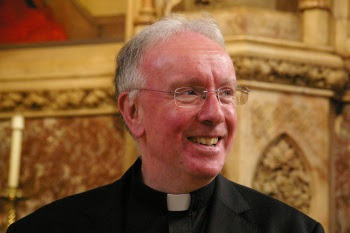 His Lordship, who has frequently demonstrated good pro-life support in the past, has been back in the news again this week, in light of the tragic news emerging from the Gosport War Memorial Hospital, which is in the area of his Portsmouth diocese. 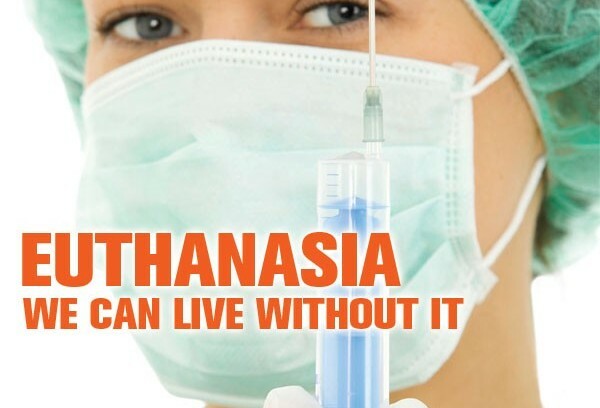 This really brings us to the heart of the matter, because although euthanasia is becoming increasingly acceptable to the mainstream, many people are at the same time feeling more and more anxious in a society in which euthanasia is so acceptable. It all reminds me of a priest who warned that, within a few years of euthanasia becoming ''legal'' in the Netherlands, people of retirement age were begging ambulance drivers not to take them into hospital after accidents. Any healthcare system can only ever be a reflection of the society in which it has grown and in which it functions. If you have a Catholic civilization, the care will be Catholic; if your society is atheistic, then the care system will increasingly take on that tone also. If your society values efficiency, money and vitality above individuals, thus preferring things to persons, then your health system will increasingly reflect that too. In the times of the medieval monasteries, healthcare was provided on the model of treating the sick, the vulnerable and the traveller as though they were Christ. Obviously, that is going to have a positive impact on your standards and levels of care! When St. Padre Pio first opened his new hospital in Pietrelcina, patients were brought in accompanied by candles. In parts of Ireland, there are still hospitals with chapels set aside for patients on each of the floors. There, too, the residual Catholicism of the culture, although smashed by recent developments, still has influence on the way many doctors and nurses treat people, and on the standards of care that people expect to receive. There is no other institution in the whole of human history that has cared for so many people, in so many different types of need, in so many disparate cultures, or for so long a period of time, as has the Catholic Church. This alone is one of the most fundamental of the Church's truth claims, and it is one which no one can dismiss lightly. It is essential that Catholics reclaim the truth about death with dignity as being really about the holy death; the good death at the end of a well lived life in the service of God and neighbour. Reflecting on the various people who have expressed to us their favour for dying alone with ''alternatives'' leads one to realize that their beliefs follow from an essential loneliness in a society which has rejected God. People hurt them, they feel unloved, they see no value in suffering and they observe old and vulnerable people suffering alone and seemingly without purpose. And so they really feel despair and seek the seemingly ''easy'' way out. I think it important that we warn people that to choose the death of euthanasia, certainly if one makes a free and deliberate choice for it, truly endangers one's eternal salvation and gives terrible example to others. There are many people today who think that euthanasia and suicide will end suffering, leading to either extinction or an instant paradise. In reality, and there are even Near-Death-Experience accounts of such things, this kind of choice could very really lead to the eternal suffering of Hell, due to the outright rejection of God and His wonderful gift of life. That is gravely sinful, and mortal sins kill the divine life in the soul. What if such a person chooses death by euthanasia in complete freedom and then has no time to repent? The real answer to the evil of euthanasia is the love of God and of neighbour. It is also to find the infinite value that suffering can come to have when it is joined to that of Our Lord and Saviour Jesus Christ on the Cross, and strengthened by the Holy Sacrifice of the Mass. 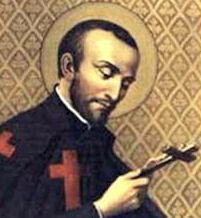 In these things, we can all gain from the example and intercession of St. Camillus de Lellis, the early 17th-Century founder of the Order of Clerks Regular, Ministers of the Infirm. The large, red cross on the front of the cassocks of this priestly order preceded that of the International Red Cross by hundreds of years. The society of priests which St. Camillus founded became so popular and successful in helping the dying to pass through a holy death, that they became known as the ''Fathers of a Happy Death''. Here again, we see how the Catholic Church, her members and her teachings have so influenced and shaped our society, before its present-day collapse into atheistic nihilism. As in so many areas of our post-Christian society, we now have it all to do in terms of rebuilding a Catholic civilization founded on the love and grace of Christ. And as the old adage has it, this is surely a case where charity begins at home! St. Camillus de Lellis - Pray for us! St. Joseph, Patron of a Holy Death - pray for us! P.S. I read recently that it is important to pray, indeed to implore, Our Lord, Our Lady and St, Joseph every single day for the grace of a happy and holy death in God's service. Let us all begin to do so this very day!